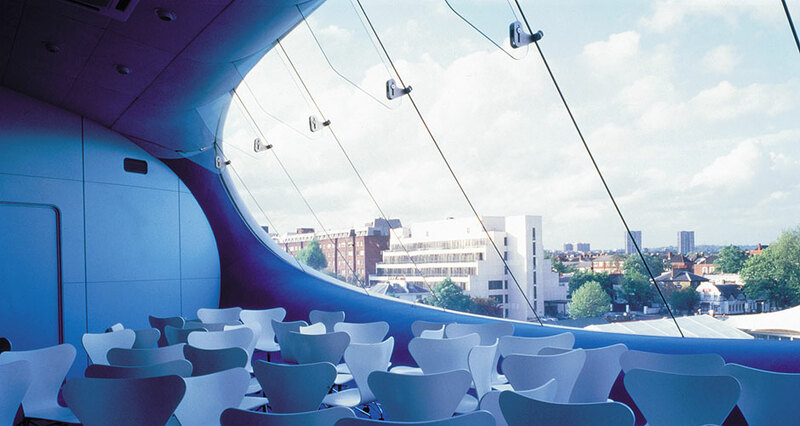 The iconic award-winning media centre at Lord's cricket ground has become one of the icons of the sporting world. Its futuristic design has been enabled by the use of Hansen ThermoSpan frameless glass, giving a completely flush exterior. 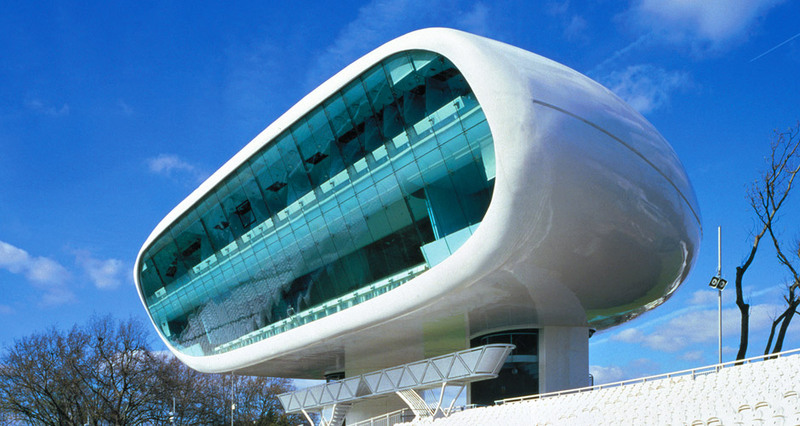 The Lord's cricket ground media centre was the first all aluminium, semi-monocoque building in the world. It was built and fitted-out in two boatyards and uses boat-building technology. The centre stands 15 metres above the ground and its sole support comes from the structure around its two lift shafts - it is approximately the same height as the Pavilion directly opposite it on the other side of the ground. The lower tier of the centre provides accommodation for over 100 journalists and the top tier has radio and television commentary boxes.